What's happening to the Mediterranean diet in Mediterranean countries? 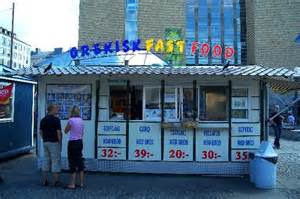 My recent visit to Greece and many trips to Italy have led me to the conclusion that 'mass tourism' is wiping out the health benefits of the Mediterranean diet, in favour of junk food. While, Spain, Greece and Italy have long been praised by nutritionists for their diet of fresh vegetables, fruit, cereals, olive oil and fish, they now seem to have sacrificed this for fizzy drinks, ice cream and fast food. 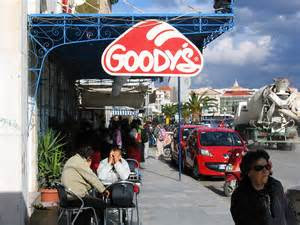 Everywhere I looked in Greece I saw take-away pizza shops, burger bars and the 'English' pubs associated with tourism. It seems the lure of faster food for young locals have hit the traditional staple diet hard. Nations known for the longevity of their citizens are seeing a rise in obesity, cancer, heart disease and diabetes according to the International Foundation of Mediterranean Diet. See if you notice this change, when visiting the Med this summer!